Title: "Septentrionalium Terrarum descriptio." by Gerard Mercator and Johann Janssonius. 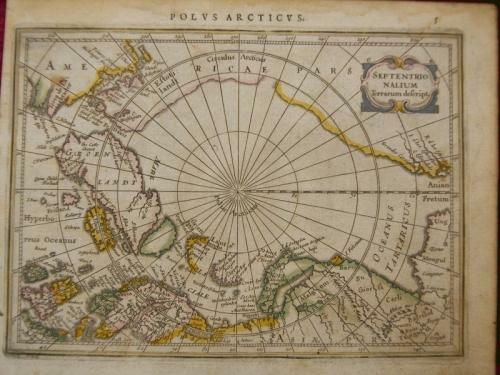 An intricate small map of the North Pole. German text to headline and verso, in very good condition with light overall toning.